Learn to read minds, conduct hypnosis, and predict the future Instead of employing visual magic, the tricks in this book help aspiring performers exercise mental powers that seem downright supernatural. Seasoned magician James L. Clark shares his professional secrets with 15 psychological illusions that require little practice and even less effort to perform. Amaze spectators by stopping your pulse, predicting their answers to your questions, and carrying out other feints involving thought transference, magic squares, stacked decks, and logic puzzles. 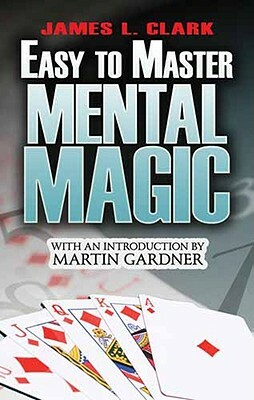 In addition to revealing the keys to each illusion, the author walks readers through the entire presentation and offers suggestions for lively patter and getting spectators involved in the act. All tricks are high impact, low risk, easy to carry off, and guaranteed crowd-pleasers.